The 8th annual Lovie Awards took place on November 15th 2018 at BFI Southbank in London. The Lovie Awards celebrate the very best of the European Internet. 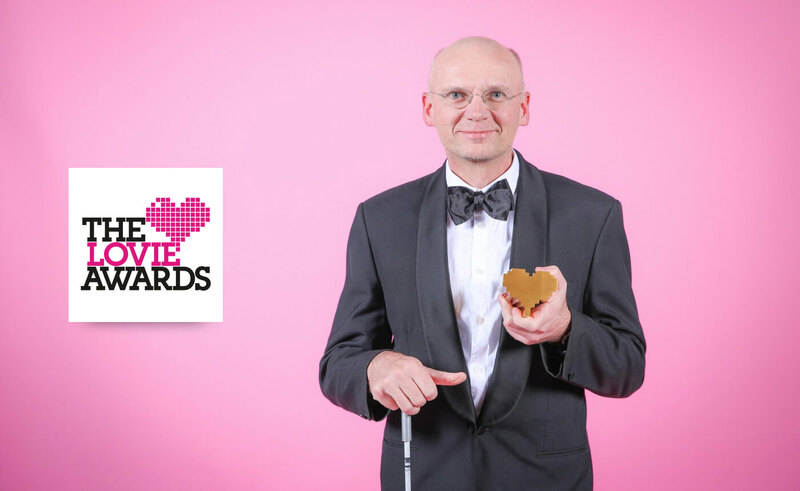 Be My Eyes founder, Hans Jørgen Wiberg, posing in front of a pink backdrop, characteristic for the Lovie Awards, while holding his heart shaped award. The Lovie Awards was an incredible celebration of inspiring and creative uses of the internet. Awards were presented among many different categories, including 7 special achievement awards. 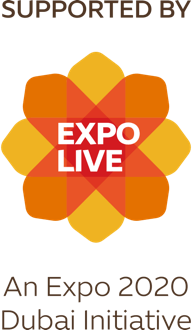 Be My Eyes founder, Hans Jørgen Wiberg, was honored with the special achievement award Lovie Emerging Entrepreneur. The other special achievement award winners include Dr. Sue Black, Stormzy, Big Shaq, Alex Bertie, Megan Lucero from the Bureau Local, and Jung von Matt. To read about their contributions and to see the full list of winners, check out the Lovie Awards Winners Galley. 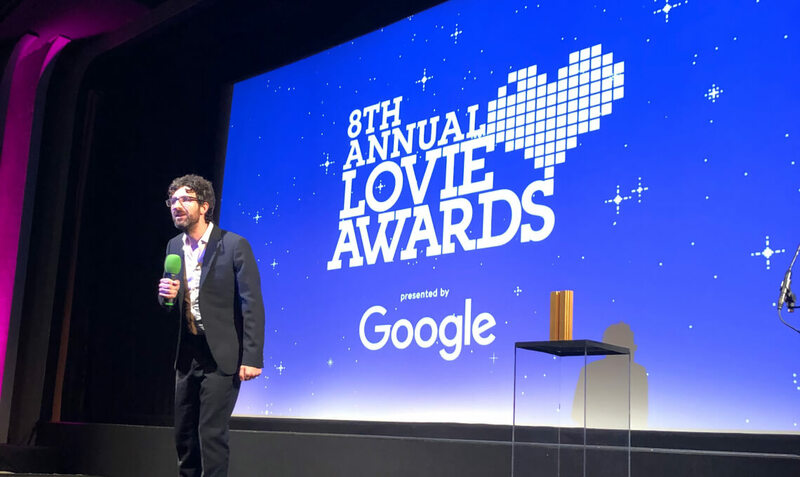 Comedian and BBC host Mark Watson on stage as the host of the 8th annual Lovie Awards. 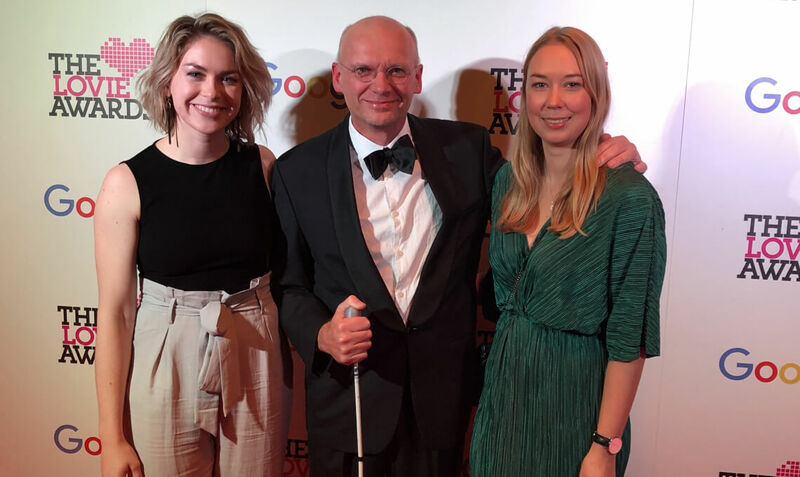 Be My Eyes founder, Hans Jørgen Wiberg, with Be My Eyes Communications Officers, Julia Rignot (left) and Cecilie Skou Andersen (right), on the red carpet at the Lovie Awards. Highlights from the show are now up on the Lovie Awards’ YouTube channel. You can among other things watch Hans Jørgen receive his Lovie Award, presented to him by Comedian, Writer and Actress Georgie Morrell, who is visually impaired herself.